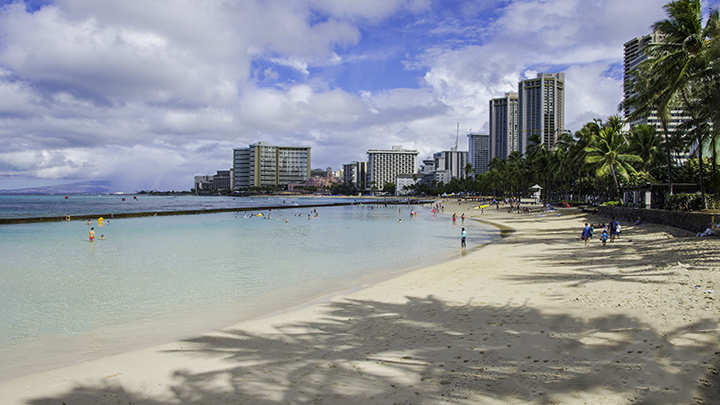 Waikiki is where you can find many great Hawaii resorts. Hawaii is known for beautiful scenery, great weather, amazing food and variety of activities. It’s easy to change your mind about activities or foods you would like to try. But making a decision on lodging options is typically not as simple. So it is important to choose among the right Hawaii hotels that best fit your needs. But when doing so, many forget about the benefits of staying at a resort over a hotel. 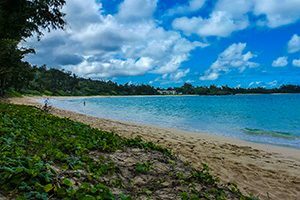 Here are a number of things anyone should keep in mind when researching and planning vacations at Hawaii resorts. 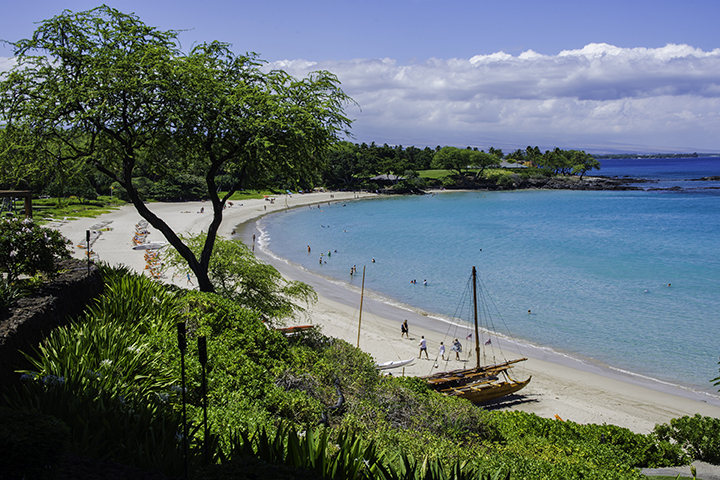 View of Mauna Kea Beach on the Big Island. Hawaiian luxury resorts come in a variety of sizes. They range from large resorts such as the Waikoloa Beach Marriott Resort & Spa to intimate ones like the Hapuna Beach Prince Hotel. But it will depend on your personal tastes and budget that will ultimately determine the best resort for you. Hawaii resorts are generally family-friendly. So you don’t have to pick between luxury and family-friendliness. You can most probably have both. Of course, some resorts offer a bit more when it comes to activities and entertainment for younger guests. Some of the resorts will have clubs or water parks specifically for children. 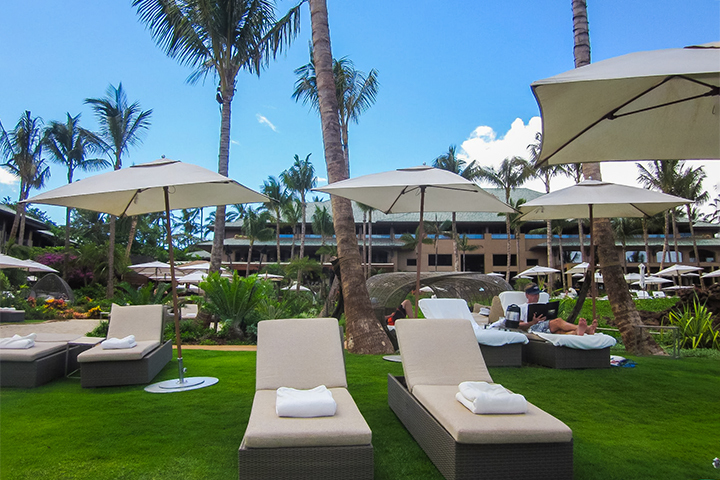 The Westin Maui Resort & Spa is a great example of the fantastic options for family vacationers. Consider the availability of child-friendly activities outside the resort as well. For example, if you plan to do do nature walks, look for family friendly hotels close to trails suitable for children. The Ka’anapali Beach resort area on Maui. Hawaii resort vacations are known to be some of the most romantic in the world. Hawaii’s lush flora and exquisite settings of many Hawaii resorts are nothing short of breathtaking. Many honeymooners and those seeing a romantic getaway will have Hawaii at the top of their list of destinations. In Hawaii, the options are virtually unlimited. Looking to spend your time in opulent luxury? Or do you simply want to enjoy nature and the outdoors? 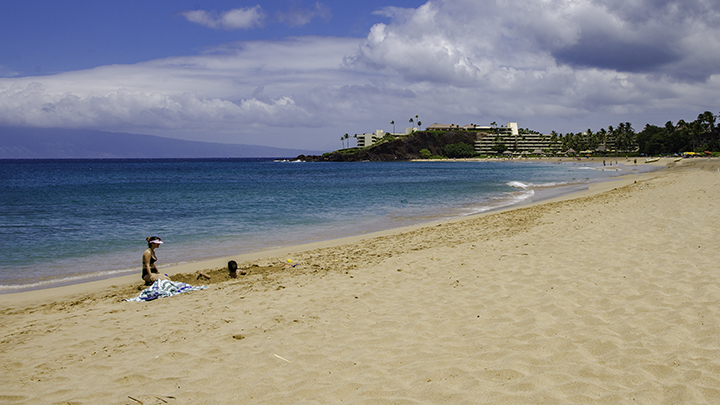 Whatever the case, you can find a Hawaii resort that can best satisfy your needs. Lanai is a favorite destination for couples, newlyweds or those looking to rekindle their romance. And one of the reasons why Lanai is a top destination for romantics is the Four Seasons Resort at Ko’ele. This resort offers fine dining, spas, a challenging golf course with a majestic setting and many amenities. Relaxing at a Lanai resort. Your lodging choice has the potential to make or break a vacation. So it is important to select the resort that is the right fit for you. Getting a good price on your Hawaii vacation package is also important. When looking for a hotel or resort, please keep the following in mind. Pick a price-range with which you are comfortable. The narrow down your selection. Keep in mind that you may have to be flexible with your budget to get what you want. But don’t go overboard. At the same time, there are opportunities to save money on hotels when buying it in a package. So you can have something extra for activities you really want to do. For example, if you are not a golfer, you can eliminate resorts with golf courses. This is because some room rates factor in the costs of maintaining a golf course. What you are looking to get out of your vacation plays a big part of deciding on a resort. Here are some of the questions you should ask. Is the hotel near the activities I’m interested in? Does it offer the amenities important to me? And is it in a location where I can do things without renting a car? These are just some examples to get you started on the right track. Have questions that somehow can’t be answered on our website? If so, we are always just a phone call away. Resorts in Hawaii come in many varieties. Some provide basic lodging. While others will have almost everything you’ll need and want. So make sure what you want in advance and know your budget. Then pick the resort that is right for you. Planning Hawaii resort vacations, but are not sure if it is the right fit for you? Then here are some of the advantages that resorts offer. Resorts offer the convenience of having a variety of activities, restaurants and services readily available at your disposal. The list of services offered by resorts are much more comprehensive compared to a typical hotel. Resorts will usually offer, not only activities and dining options, but also entertainment for both children and adults. Many arrive at resorts via complementary airport transportation. Plus, you don’t really have to leave the resort to enjoy your stay. Resorts are designed to provide everything guests may want. Even if they don’t offer the activity you are looking for on-site, a concierge can most likely help arrange it for you. Resorts located near tourist destinations will either offer complementary tours or have relationships with tour operators. This will not only make it easier to book the tour. But it will often make it more competitively priced. Still unsure about how to plan your trip to Hawaii? Then give us a call and we’ll be glad to help. 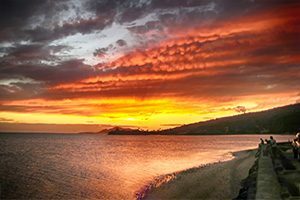 We love putting our 35-plus years of experience to help travelers plan memorable Hawaii resort vacations.